Our state-of-the-art facility protects your data by meeting all appropriate environmental and safety standards. Our sturdy storage boxes are made of quality materials and stored in a specially designed climate controlled setting. We offer the flexibility you need to have access to your documents and data. We make it easy to store your business records. Once you pack your records, we’ll pick them up and bring them to our safe and secure storage warehouse. When you need them, we transport them back to you. We have a variety of services available to fit your needs; next-day, half-day and emergency retrieval. With our electronic document storage process called Scan On Demand®, we can scan your records and send them back to you in several different electronic formats. 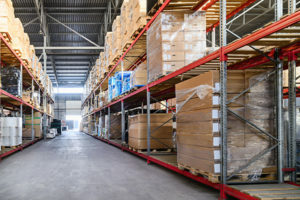 Arrow Transfer & Storage manages thousands of square feet of clean and secure warehouse space locally. We can provide a wide range of value-added services customized to fit your needs, including furniture storage and all types of general storage.